In short, it is Sai, who is getting his own "Life" narrated through an ignorant fool like me. Sages and saints, or even God Himself, narrates His own story, by placing his hand of benediction on the head of him, whom he chooses (as an instrument). Sai's "Life" is a great ocean - boundless, infinite, a mine of precious gems; which I, a tiny Titwi (Lapwing) bird is endeavouring to empty. How can this ever come about? I am but the instrument moving mechanically, as Baba guides. Those who have not had the actual darshan of Baba, to pacify their eyes, may at least gain some merit by listening to the stories of his greatness. Once the ego is surrendered at Baba's feet, boundless joy will ensue. As the ego is overcome, the whole life will be filled with happiness. "Listening to my stories, narrating them to others in a kirtan, contemplating on them will propagate love and devotion for me, which will destroy ignorance, instantly. 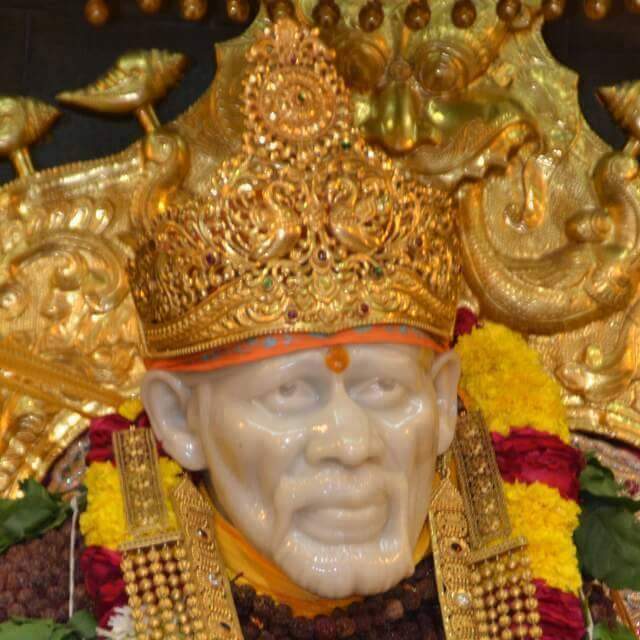 "Wherever there is faith and devotion together, I remain enslaved forever. Have no doubt about this. But otherwise, I always remain unattainable.